English speaking lawyers for foreign companies in Serbia. 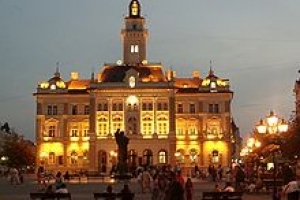 Located in the north of Serbia, the Free Zone of Novi Sad has a strategic location. It is not far from the Serbian capital Belgrade and it's close to the borders with Croatia, Bosnia, Romania and Hungary. The river port of Novi Sad is one of the largest ports on the Danube and represents the nerve center of freight of the Balkans. The road network of Novi Sad is connected with the pan European Corridor 10 and the railway line Vienna - Budapest - Belgrade. The Free Zone offers many advantages to foreign companies wishing to establish their business and activities in Serbia. In Novi Sad Free Zone is possible to rent a land with a fixed fee for 60 years; foreign companies are not required to pay VAT on the imported goods in the free zone; machinery and materials for the work can be imported free of duty, etc. The Free Zone of Novi Sad has its own custom office, Banks and security service.